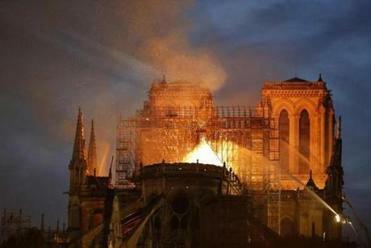 Cardinal Sean O’Malley was among the countless people who watched in horror Monday as news reports captured footage of a fire tearing through the roof of Notre Dame Cathedral in Paris and toppling the centuries-old church’s spire. The 12th-century cathedral is home to incalculable works of art and is one of the world’s most famous tourist attractions. Paris emergency services were also racing to salvage the artwork stored inside the cathedral. Cardinal Timothy Dolan, the archbishop of New York, also tweeted about the devastating blaze. The Catholic leaders’ comments were echoed by Congressman Jim McGovern, a Worcester Democrat.